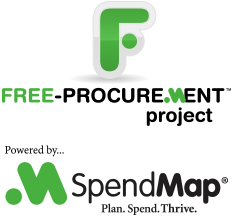 Brenda was struggling a bit with her implementation of the free version of SpendMap, so we helped her by providing free support when she had questions about setting up her Master Files, using the built-in integration tools, and otherwise configuring the system to her needs. “I’m worried that if I’m having trouble, it will be impossible for our staff as they are not very computer savvy at all“. Fair enough, but keep in mind that implementing a business application like this is more involved than just using it for your day-to-day work. For example, entering a Purchase Order or Requisition in SpendMap is much easier than setting up the master files, going through system configuration, etc. Our customers tell us all the time that their users can handle the “day-to-day” stuff, with no training at all! And remember, with User Definable Menus, you can remove everything from your staff’s field of view that they don’t need, leaving only the few functions that they’ll use to do their daily tasks (e.g. Enter a PO or Requisition, check the status of their order, etc.). But Brenda certainly has a valid point. This type of system is definitely more involved to set up than, say, a simple word processor or something, that you can just install and start using. There are configuration settings, workflow options, master files to populate, not to mention mapping the functionality to your business processes, which in and of itself can take some time. All that said, keep in mind that there is definitely a big carrot to keep you motivated while you work get the system going. On a separate but related note, we will soon be offering Getting Started training and implementation consulting packages for users of the free version (until now, these services were reserved for people using our paid version only). Make sure to follow our Blog, where we’ll make the announcement when the Getting Started package is available. Don’t give up folks. Rome wasn’t build in a day.